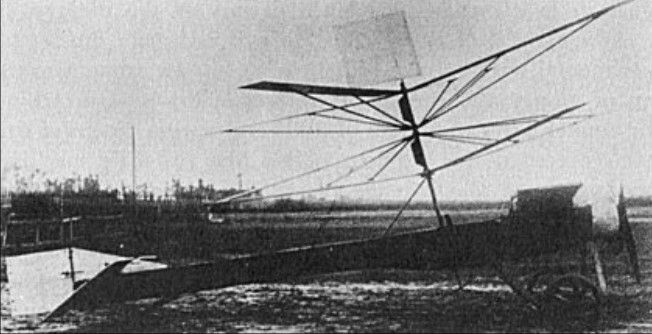 For this prototype built at Madrid in 1920, La Cierva used the fuselage of a Deperdussin, a French monoplane of pre-World War I vintage, on which were mounted two contra-rotating four-bladed rotors. 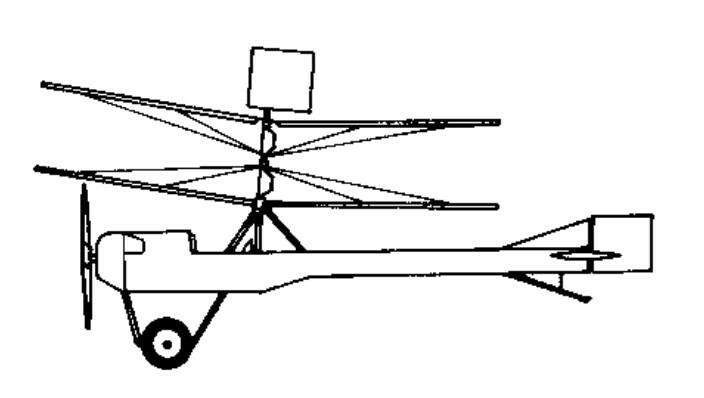 The C.1 had a vertical surface above the rotor to give lateral control. This model never flew, since it proved impossible to control: the lift from the two rotors was unbalanced because of mutual interference.